Revitalised ancient viruses might one day get added to the list of ominous consequences of melting ice. Scientists working in the Arctic circle over the past few decades have unearthed several massive viruses that some say could be re-awakened if the permafrost that imprisons them dissolves. 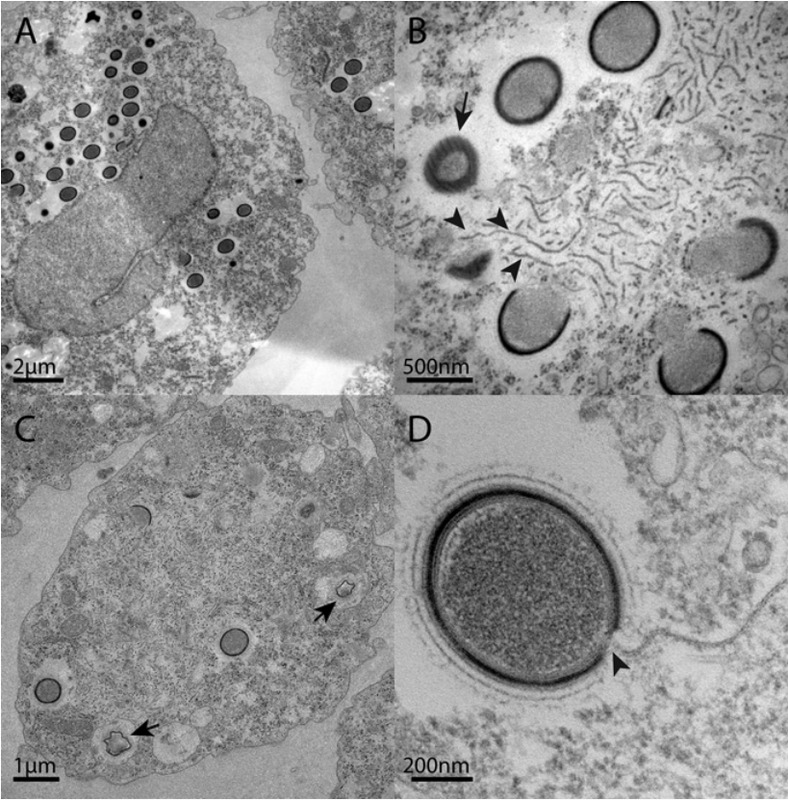 In 2015, researchers in Siberia uncovered one called Mollivirus sibericum, a 30,000-year-old behemoth of a virus that succeeded in infecting a rather defenseless amoeba in a lab experiment. Recently, some researchers have suggested that these enormous viruses could thaw out, escape, and make lots of people sick. It sounds like something out of a 1990s horror film. But you shouldn't get too concerned - at least not yet. The likelihood that these viruses will break free and sicken humans is slim, according toNew York Times science columnist Carl Zimmer, whose recent book, A Planet of Viruses, digs into what we know about viruses and the diseases they cause. "These particular viruses infect amoeba. So if you're an amoeba, yeah you should be really scared," Zimmer told Business Insider in a 2015 interview. "There are no human pathogens that have burst out of the Siberian permafrost. That's not to say that viruses won't emerge, but there are so many viruses circulating in living animals, I think we should put these frozen viruses very low on our list of concerns." Zimmer added in an email on May 8 that most of these massive viruses have been found after melting samples of Arctic ice in a lab - they're not currently crawling along the the Russian tundra like some microscopic Frankenstein. They "didn't just thaw themselves out," he says. "They were carefully processed in labs. That's yet another clue that the odds of an ancient outbreak are very low." But that doesn't mean the recent discoveries are useless. Instead, they're teaching us valuable things about the nature of viruses, which we previously assumed to be fairly small and simple. These ancient viruses, on the other hand, are about 30 times bigger than your average virus, and rival the size of a bacterium. In addition to its unusual size, Mollivirus sibericum differs from the vast majority of viruses in that has more than 500 genes that give instructions for making proteins. "They're in and of themselves fascinating and they really challenge us to think about what viruses are," Zimmer says. Viruses are technically not considered alive, but these giant ones seem to have some qualities of life, like a functioning metabolism. If we're ever going to reevaluate the characteristics of viruses, these ancient thawed-out ones could make us take a fresh look.